AXYZ manufacturing lead times are among the shortest in the industry. Even custom machine systems can be engineered, manufactured and delivered to meet your exacting timescales. 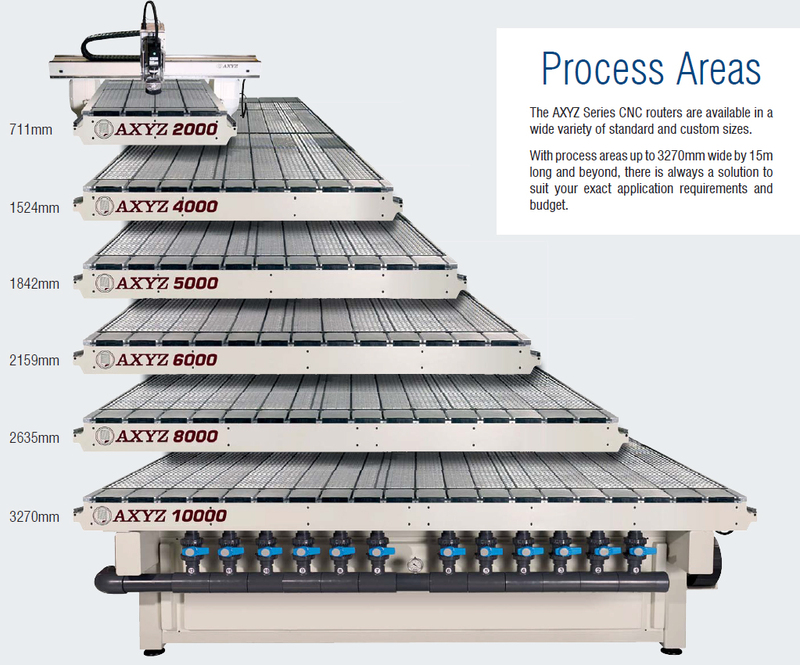 The standard AXYZ Series machine can be specifi ed in thousands of different confi gurations to meet almost any application requirement. Despite this flexibility there is no compromise on quality. Components are sourced from top manufacturers such as HSD and Elte (spindles), THK (bearings) and Teknic (servo motors and drives). AXYZ interacts directly with more than 90% of our customers. With sales and support offi cesin Canada, the United States, the UK, Poland and India, we are near you geographically, and only a phone call or email away electronically. So, if you’re purchasing a machine, require service, need engineering support or need to buy parts, you’ll be dealing directly with AXYZ employees. -We do supply the machine to other countries likes Singapore, Vietnam etc. -We will send our own service engineer for the installation, commissioning & training of the machine even in other countries.